After spending 26 successful years in NAIA’s Golden State Athletic Conference, including earning 43 regular season championships and introducing eight players and coaches into the NAIA Hall of Fame, PLNU was ready to face a new challenge: the NCAA. PLNU decided to pursue candidacy for the highly competitive NCAA Division II in the summer of 2012. After a three-year transition process, the 2014-15 season marked the first year that PLNU was a full and active NCAA member in the Pacific West Conference (PacWest). All 11 PLNU athletic teams were finally eligible for postseason play in the PacWest and NCAA, and the Sea Lions took full advantage of it. The newcomers made their name known in their conference, with two teams making regional playoffs— the women’s soccer team and women’s basketball team. The women’s soccer team notched a season of success, winning the PacWest Conference Championship, and becoming the first team in the history of the PacWest to go undefeated in a 12-game schedule. The Sea Lions rode an 11-game winning streak through conference play, ending 12-4-1 overall. Seven of the women’s soccer team players earned All-PacWest status. There was no shortage of success for the women’s basketball team, either. The squad, led by first-team All-PacWest senior Jessica Escorza, placed third in the PacWest Conference, going 15-5. 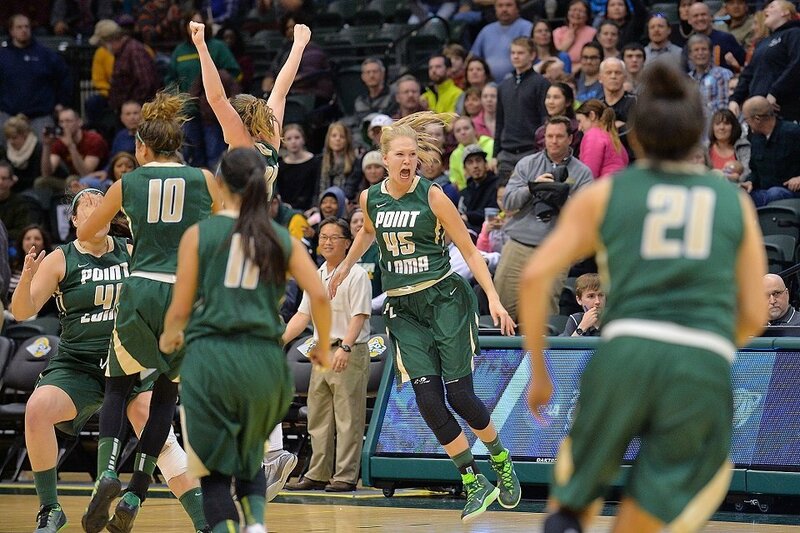 That set up PLNU for a shot in the NCAA Western Regionals, where the team earned the No. 8 seed and faced the No. 1 ranked team in the country, Alaska Anchorage, in the first round of the NCAA tournament. The Sea Lions pulled off an upset, snapping Alaska’s 20-game win streak and claiming a victory after a 64-63 buzzer-beater in front of the Anchorage home crowd. The women’s soccer and basketball teams are just two examples of the phenomenal growth PLNU Athletics has experienced since joining the highly competitive NCAA. “We came out of the chute quickly in our first year as an active member and have earned the respect of the NCAA in all of our sports,” said 14-year PLNU coach Art Wilmore, who has coached men’s basketball and men’s and women’s tennis. Collectively, the Sea Lions posted a .570 winning percentage in the 2013-14 season (131-99), which is a 44-game turnaround from its first year in the NCAA. In the PacWest’s Commissioner’s Cup, PLNU improved from ninth to sixth place in the 2013-14 season. Considering the success of the 2014-15 women’s basketball and soccer teams, in addition to the red-hot men’s baseball team, Hamilton thinks PLNU is on track for a season with even more growth. In addition to athletic success, PLNU student athletes are becoming more competitive in the classrooms. 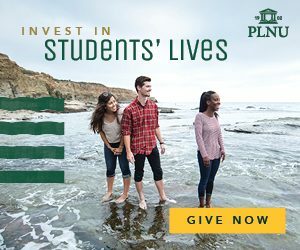 If PLNU’s first season as an active member in the NCAA was any indicator of what is to come, the Sea Lions are looking at success for years to come. Faculty Spotlight: David Phillips, D.Min.